As our Lord was about to ascend into heaven, He offered some of the most famous words used to describe our mission as His bride. These timeless words are the banner for every fellowship which describes itself as evangelical. Most of us have heard hundreds of references to these words in sermons, and have probably used them ourselves from time to time. However, if we look deeper into this famous passage we’ll discover more than just a simple commission! Great Authority – Jesus begins the explanation of our commission by establishing the ultimate foundation of His authority. Nothing can happen to us on our journey to fulfill His call upon our life except what has been divinely appointed or allowed! Whether it be imprisonment or martyrdom, nothing can come our way unless Jesus allows it! Great Commission – We are called, not to make converts, but to make disciples! There is a huge difference between modern evangelism and biblical discipleship. Failure here is equivalent to casting innocent sheep to the wolves. The life of the local church depends upon disciple making! Number oriented churches will dumb down the message as well as create false converts. Great Commandment – The bottom line to every command and the evaluation of a man’s heart is how it measures to Jesus’ commandments concerning Love toward God and our fellowman. Every religious action or word is useless and vain if it is not coming out of Agape love! Teaching and demonstrating the love of God to this generation is the ultimate purpose of ministry of the Lord Jesus. Great Promise – This is not a hollow statement designed to be a psychological prop. Rather, Jesus’ promise to be with us is a living reality carried out through the person and work of the Holy Spirit. 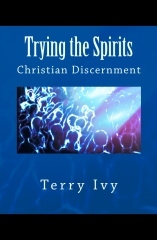 We should be conscious of the presence of the Holy Spirit in our endeavors and ministry. If not, stop immediately and do not begin again until His power and presence fills your life! As Christians our call to make disciples and teach them about the commandments of God’s Love exists between the book end truths of Jesus’ authority and the promise of His presence! He is our foundation and our power! Therefore, our work is not dependent upon our strength, wisdom or talents. Instead, it rests upon His authority, grace, direction and presence! That is good news indeed.